Following his surprise defeat to Muhammad Ali in one of the most historic fights in boxing history, George Foreman returned from Africa not just a former champion, but a man psychologically wounded. It would take years for that wound to heal. 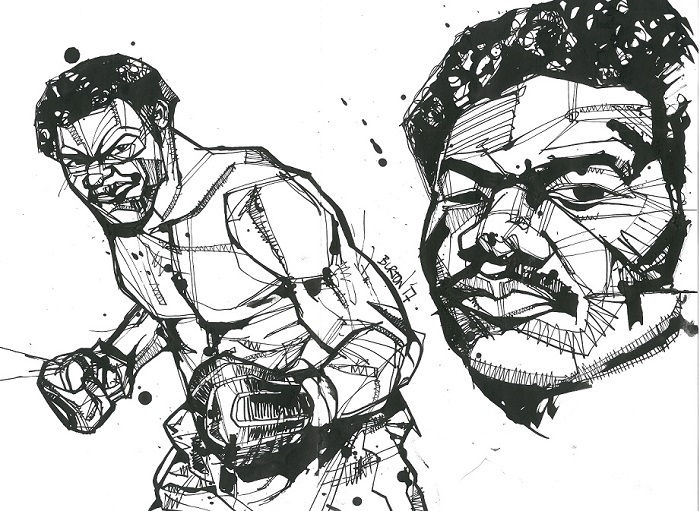 The fearsome puncher, who had demolished Joe Frazier and Ken Norton, found himself in nothing less than a crisis of identity. Few had anticipated an Ali win as the younger George was widely viewed as one of the toughest, strongest, and most powerful big men in boxing history. Huge and menacing and carrying perhaps the most lethal heavyweight fists since Sonny Liston, Foreman’s image was that of an invincible destroyer and it was a major shock to the sporting world when “The Greatest” not only out-smarted and out-boxed the champion, but put him down for the count. 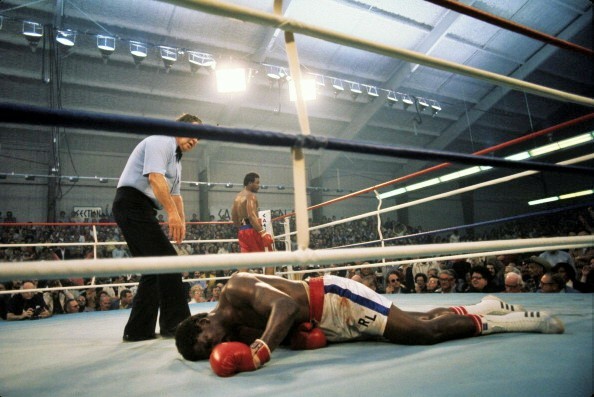 Foreman shocked by Ali in Zaire. And it was an equally huge shock to George himself. Nothing had prepared him for the agonizing process of salvaging what was left of his confidence and resolve after suffering a humiliating loss to a solid 4-to-1 underdog, after having his ego and his aura of invincibility shattered by an opponent who made him look like a stumbling, bumbling novice in front of a massive crowd gleefully cheering his downfall. Foreman’s public image and his own identity had gotten tangled up with one another, so much so that George really did regard himself as an invulnerable force of destruction, unbeatable and overwhelming. 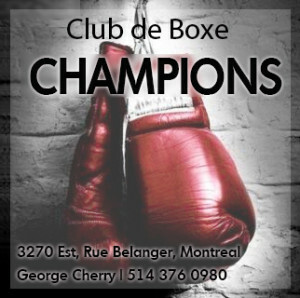 Sure, he had lost from time to time in the amateurs, but no one had ever humbled him the way Ali did, and Foreman lacked the inner strength to withstand the resulting blow to his confidence and self-image. George Foreman. Drawing by Damien Burton. Evidence of this was his inability to accept the loss, his claim to having been the victim of a fast count by the referee. When that didn’t stick, Foreman declared he’d been drugged by his own corner before his showdown with “The Greatest.” These dubious excuses only made the vanquished former champion a pitiful figure, and soon he became nothing less than a laughing-stock when, on national television, he took on five fighters, one after the other, in a bizarre exhibition at Maple Leaf Gardens in Toronto. 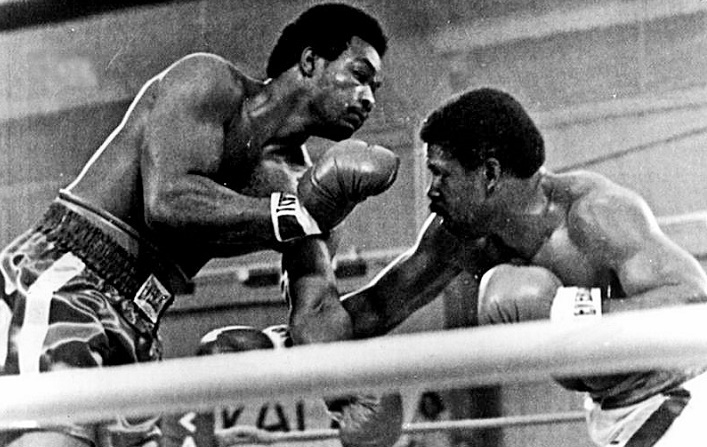 The point of the exhibition was to re-establish Foreman’s image as the most dangerous heavyweight in the world and thus force Ali to give him a rematch. But with Howard Cosell branding the whole thing “a carnival” and “a charade,” and with the crowd booing, throwing garbage into the ring, and chanting Ali! Ali! Ali! after his “victories,” the sordid affair backfired completely. While George won all five contests, the bouts were sloppy, even comical, the event more chaotic than anything else, with brawls erupting between rounds or after fights, and Ali constantly taunting Foreman from ringside. 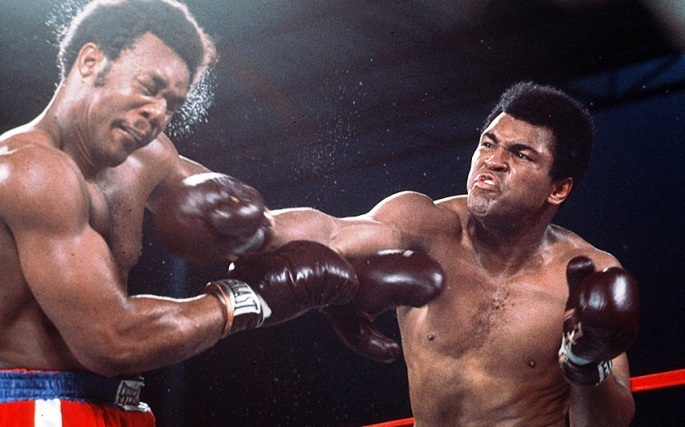 If an Ali vs Foreman rematch represented a difficult sell following “The Greatest’s” surprise knockout win, this fiasco rendered it an impossible one. 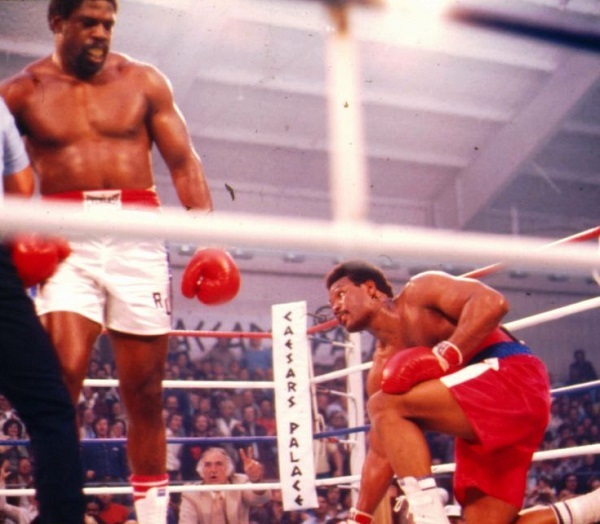 What we now know, but what no one then could have possibly predicted, is that the story of George Foreman would eventually become one of the most extraordinary and redemptive in the whole of heavyweight boxing history. From an Olympic gold medal, to a shocking knockout of Joe Frazier for the title, to “The Rumble in the Jungle,” to an upset loss to Jimmy Young and a full decade away from boxing, to a preposterous comeback, complete with battles against Evander Holyfield and Tommy Morrison before, incredibly, he regained the heavyweight championship of the world with an astonishing one-punch knockout of Michael Moorer — the whole decades-long saga is the stuff of movies and fairy tales. And yet it all “happened,” as Jim Lampley would famously exclaim. Foreman needed to redeem himself. 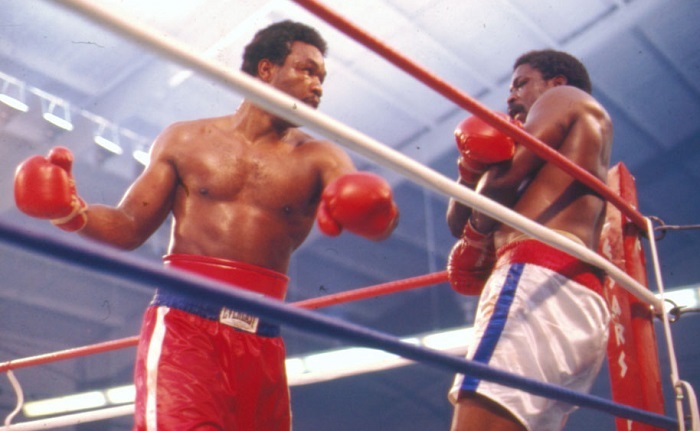 But to fully appreciate Foreman’s accomplishments, one needs to take a close look at what came next, at his slugfest with Ron Lyle some eight months after the Toronto farce. 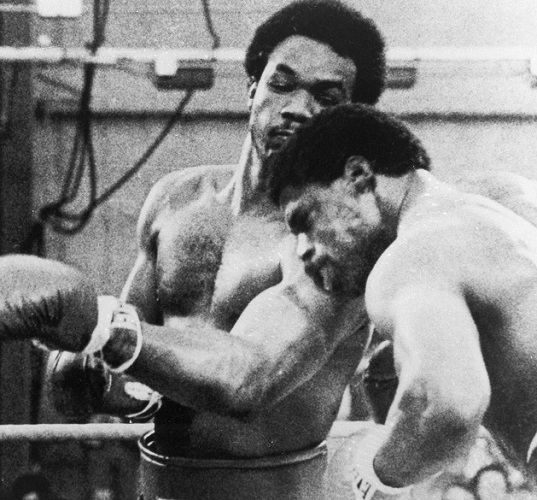 That victory, perhaps more than any other, is the one that proved Foreman had the courage and character to go on and eventually become a true all-time great of pugilism. Without that most consequential win and what it demonstrated, the rest of the story would likely have never happened. Following the debacle in Toronto, George resolved to begin again. 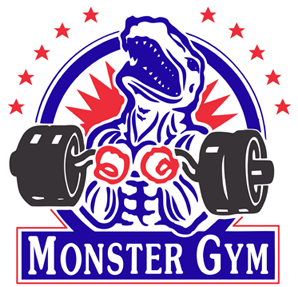 He hired new trainers, Gil Clancy and Kid Rapidez, and set himself to face Lyle, a powerful and tough ex-con who had endured more than seven years of hard time at Colorado State Penitentiary and had even been declared clinically dead in the aftermath of a vicious prison brawl. 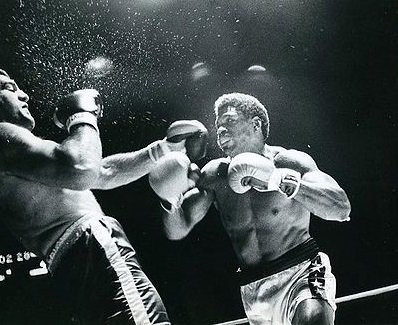 Once released, Lyle battled his way to the top of the heavyweight division with wins over Oscar Bonavena and Jimmy Ellis, before losing to Ali by an 11th round TKO the month after Foreman’s five-man circus. Lyle had in fact given Ali all he could handle in the rounds leading up to the referee’s stoppage, one that was loudly protested by the challenger and his handlers, and he had since rebounded with a knockout of awesome puncher Earnie Shavers. Thus, a victory over Lyle would go a long way towards restoring George’s former status as a truly dangerous force in the heavyweight division. The match was held at Caesars Palace in Las Vegas and broadcast on national television with Cosell at ringside. And what transpired that January afternoon has since become nothing short of legendary. Ever after, when talk turns to the most action-packed slugfests in boxing history, Foreman vs Lyle never escapes mention, if not adulation. Perhaps only the famous Dempsey vs Firpo struggle, with its 11 knockdowns in four minutes, exceeds it in terms of its almost cartoonish savagery, its ferocity and wild, ‘barroom brawl’ quality. This was a young boy’s fantasy clash between invincible superheroes or lumbering dinosaurs come to life, as two huge, heavy hitters threw aside all pretense of technique and strategy and simply took turns blasting each other with their best shots. The fireworks got underway in earnest near the end of the opening round when Foreman made the mistake of dropping his hands after a clinch and Lyle landed a crushing right that had George staggering all over the ring before the bell saved him from disaster. Round two saw the momentum shift dramatically; now it was Lyle on the ropes and in trouble, but the timekeeper rang the bell a full minute early, robbing Foreman of a chance to capitalize. Round three also belonged to Foreman as a somewhat passive Lyle appeared to be emulating Ali’s victory over George and allowing the former champion to unload his heavy artillery. With three rounds in the books it had already been an action-packed battle, but both warriors were in fact just getting warmed up. Lyle decks Foreman in round four. Round four was mayhem. Lyle smashed home another big right hand but this time Foreman wasn’t just hurt; this time he hit the canvas like a 226 pound bag of wet cement. George got up and Lyle moved in for the kill, but it was Foreman who scored with a wild right and then a hook that put Lyle flat on his back. For a moment it looked like the brawl had been decided but the man from Colorado beat the count and rushed back in for more. Both power-punchers held their ground and continued to trade bombs and soon enough Lyle struck back and down went Big George a second time. 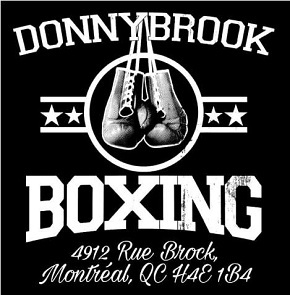 Once again it appeared the savage donnybrook was decided, but the Texan somehow got to his feet and, just as Lyle had been rescued by the bell in an abridged round two, a hurt Foreman heard the sound of the gong and desperately lurched to the safety of his corner. The bell for round five rang and it was evident that, despite heaving chests and trembling legs, both warriors wanted it. They collided at ring centre like a pair of angry grizzly bears and it was Lyle who had the advantage as he crowded Foreman and let his hands go. Barely a minute in a thudding left almost put George down yet again and he struggled to stay upright as Lyle tried to push him over the edge. 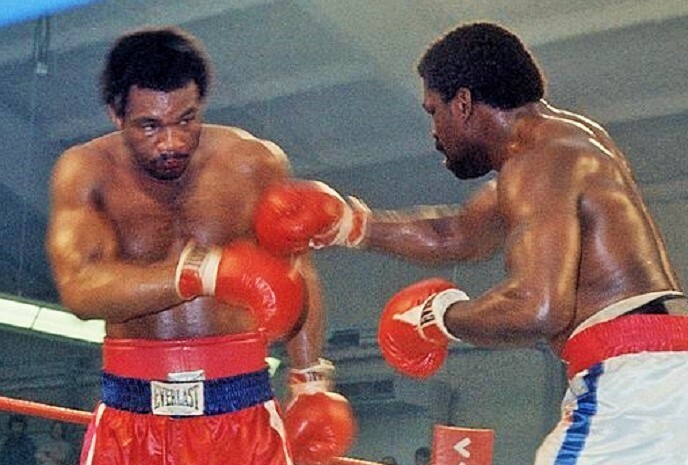 Another left buckled Foreman, but the former champion righted himself and scored with a series of jabs and a hard right before Lyle returned fire with an impressive combination: uppercut, hook and a big right hand. 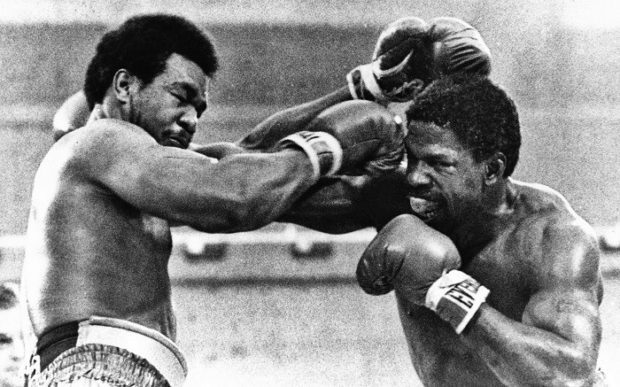 But Foreman refused to go down and instead came back with three brutal rights of his own. That’s gotta hurt: Foreman hammers Lyle with a left. Both were on rubbery legs and teetering about the ring like drunken sailors on the deck of a storm-ravaged ship as the crowd went berserk, but surely someone had to cave in from the non-stop punishment and indeed it was an exhausted and dazed Lyle who staggered backwards into his own corner. Then and there the former champion went for the finish, firing a non-stop barrage of power punches and landing more than 20 unanswered blows before Lyle finally collapsed at Foreman’s feet and was counted out. Big George unloads on a cornered Lyle in round five. Thus ended one of the most thrilling slugfests in heavyweight history. 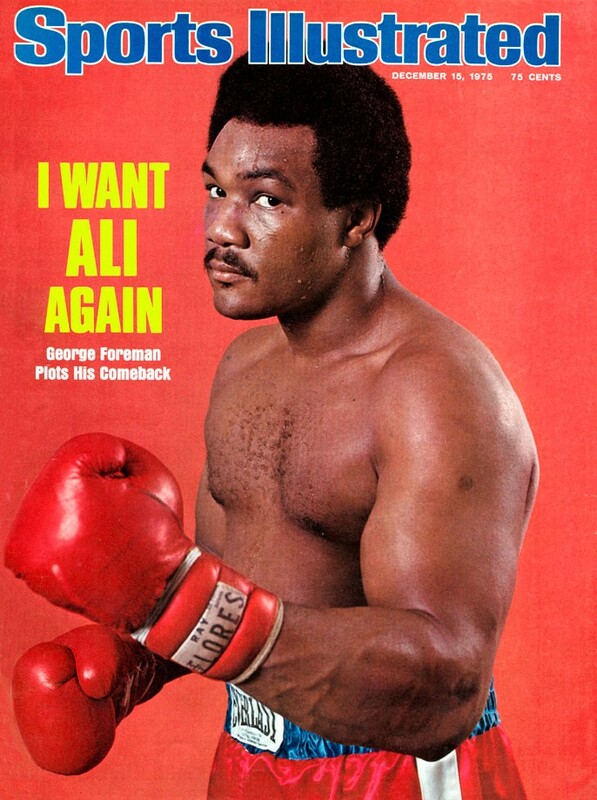 And while barely surviving an encounter with an opponent Ali had already bested did little to convince the public that George deserved another shot at “The Greatest,” the victory did go a long way towards restoring some of Foreman’s dignity and erasing the memory of that five man carnival in Toronto. But the win’s true importance goes deeper. The end of the great battle. Thank you for this deep take on one of my favorite fistic memories.Beautifully written.